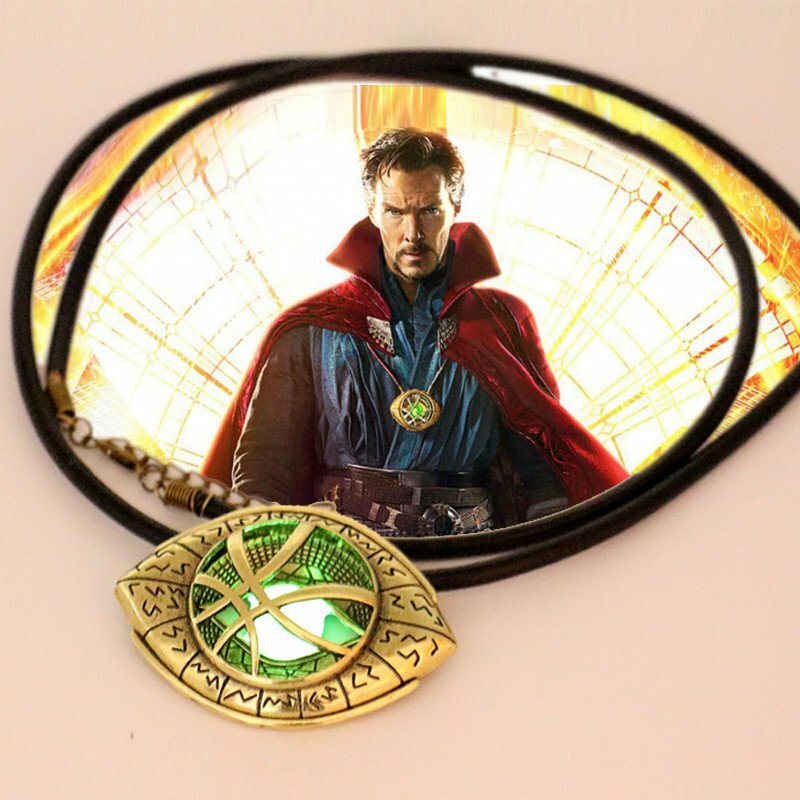 Feel the strength and powers of the Sorcerer Supreme, Doctor Strange, by having this inspirational Glow in Dark Eye of Agamotto necklace. Benedict Cumberbatch wears this necklace as Doctor Stephen Strange in the self titled movie. This Doctor Strange necklace is inspired by the Marvel Comics and is now designed to match the standard of the source of the character’s unbelievable power. This is a complete cosplay stuff that you should wear with your Doctor Strange costume. It’s made from alloy and is painted in gold.